Having a hard time making perfect foams for your coffee and desserts? Do your home-made cocktails and liquors lack flavor? Cream chargers used in a cream dispenser is the perfect solution to end this predicament. We do not have to be a professional chef to bring out exciting flavors that will give our dishes an up-to-date edge. Having it as a part of your kitchen tools will give color and exciting taste to your daily dishes and your occasional menus extraordinary. Foams, bread batter, creams, desserts, cocktails, liquors or other flavorful infusions are made easy in just a matter of minutes and you may serve it hot or cold in assorted textures. 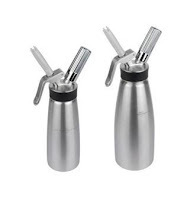 According to Wikipedia a whipped cream charger (also called whippits, whippets, nossies, or nangs) is a steel cylinder or cartridge filled with nitrous oxide (N2O) that is used as a whipping agent in a whipped cream dispenser. 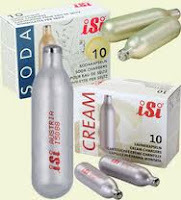 Nitrous oxide is used for culinary purposes because it migrates easily into the cream, and does not cause the cream to oxidize while it is in the can. Although these cylinders are non refillable, they are 100% recyclable. It is used together with the dispenser which is considered as a fast and inexpensive way in enhancing or creating unique tang. 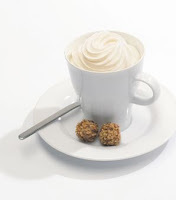 The ideal cream dispenser is a competent tool for coffee shops too, as it is perfect for easy preparation of fresh whipped cream and other cold applications. It produces up to twice the quantity of whipped cream in comparison to other whipping approach. The cream charger together with the cream dispenser is another high-tech kitchen aid that will boost our interest in cooking, no-sweat in creating different essences and surprising cuisines to serve our family.